When Mr. 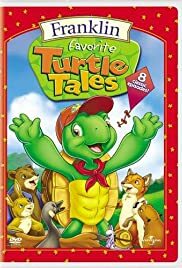 Turtle goes away on a trip, Franklin gets in over his head with household chores; Franklin and Rabbit talk with Mr. Mole about UFOs. Bear feels homesick during his sleepover with Franklin; Franklin faces going into a haunted house alone when his friend Bear is ill at home with a cold on Halloween. There is so much better of this kind of thing. One of the more simpering and sanctimonious cartoons for very small children. The dark shadow of the moral can be spotted a mile away and taints these bland narratives with blander characters. 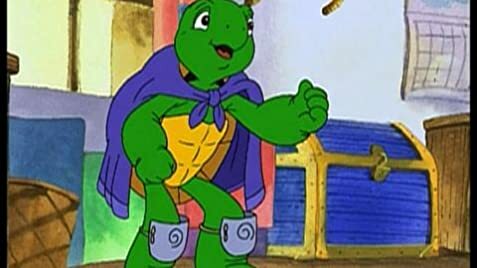 I don't know if your child will respond to the adventures of Franklin at his school or his friends, but the fact that they're animals doesn't affect anything and there are so much more charming stuff for this target demographic that manage to convey lessons in a more character driven spontaneous way.